Born in Missouri in 1928, Maya Angelou had a difficult childhood. Jim Crow laws segregated blacks and whites in the South. Her family life was unstable at times. But much like her poem, "Still I Rise," Angelou was able to lift herself out of her situation and flourish. She moved to California and became the first black—and first female—streetcar operator before following her interest in dance. She became a professional performer in her twenties and toured the U.S. and Europe as an opera star and calypso dancer. But Angelou's writing became her defining talent. 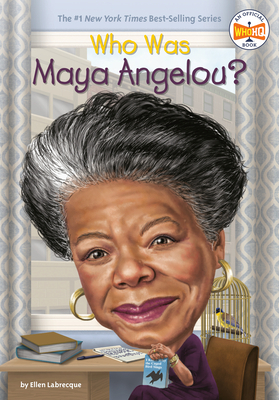 Her poems and books, including I Know Why the Caged Bird Sings, brought her international acclaim. Ellen Labrecque is a former Senior Editor for Sports Illustrated for Kids and the author of over twenty nonfiction books for young readers, including biographies of Jim Thorpe and Magic Johnson.